Paddle boarding is one of the fastest growing sports and water activities in the world. Ocean paddle boarding is unique in that you’re able to ride waves and surf, as opposed to lake riders who can only really paddle around. 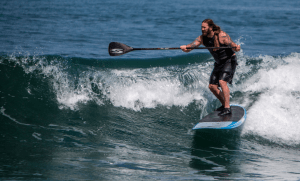 Whether you’re interested in surfing, racing, cruising or some other ocean water sport, paddle boards can bring all new kinds of fun to your chosen activity. 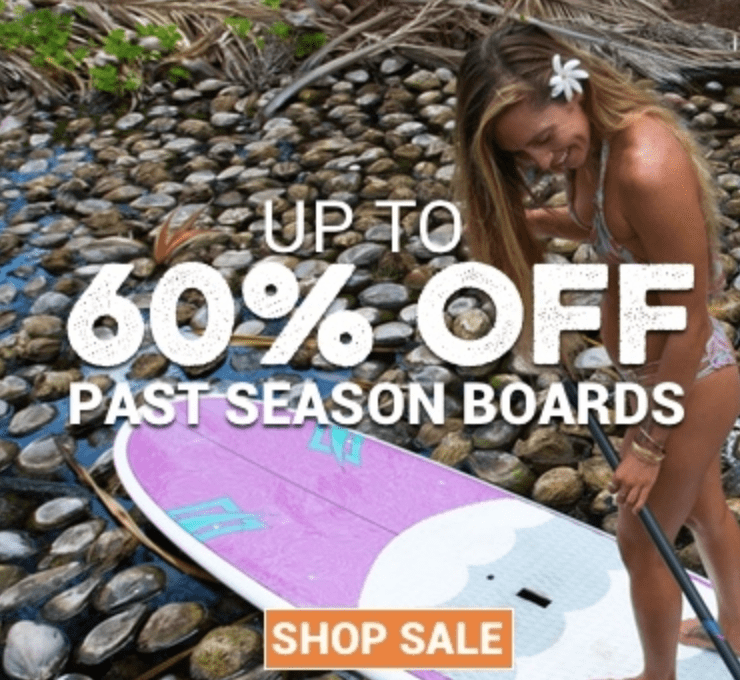 Before you rush out and buy a paddle board, here are the top 5 things to consider so you can get the best board possible. Surfing with a paddle board is much easier than surfing on a short board. Paddle boards are much wider and longer than even long board. This makes it easier to catch waves and start planing without needing to build up speed. 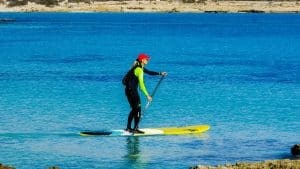 Balance on paddle boards is also easy as the boards are super wide. The fact that you normally ride a paddle board standing up also makes it easier to transition to surfing after you’re on a wave. If you’re interested in paddle boards for surf, you will most likely like a fairly wide board with a large nose. You may want to look into slightly shorter boards under 10′, as these will have more maneuverability that longer boards. Three fin or thruster setups are also popular as they give you mobility, but also forward tracking. One thing to keep in mind is that you will not be able to duck dive or flip your board under oncoming waves as paddle boards are large and buoyant. When heading out to the lineup, start from wide outside and work your way in between sets. Stand up paddle boards are easy to generate speed on with proper rowing technique, so even big waves are doable. Paddle board racing has been growing in popularity as it is a physically demanding competition. Rowing techniques and endurance are just as important as the type of board racers decide to use. 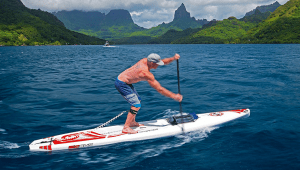 A paddle board designed for racing will have several differences from a board made for catching waves. For those racers out there who only want straight tracking and speed, you’ll need to find a paddle board that is long and narrow. Less rocker is needed as your focus is going straight. Multiple fin setups work, but you’ll definitely want large and long fins. Super long fins are perfect for the ocean where depth isn’t a factor, but remember to pick up your boards when coming in so you’re not dragging the fins across the sand. If you’re not into waves or speed, paddle boards are one of the best ways to get out on the water and simply cruise. Leisurely rows around the beach are perfect on a calm day and a paddle board. If you’re looking for more adventure, paddle boards can also take you from island to island or various parts that are not accessible from land. Think of cruising boards as boats without walls as opposed to faster racing boards or wave boards with huge rocker. Cruisers will want a balanced and comfortable ride. A wider board will make moving around, on, or off the board much easier, but you will lose a bit of speed. A wider nose will also help with balance and a deeper rocker will make the ride smoother when hitting small waves. Board thickness may be one of the most important factors as cruisers can look for large and thick boards that are extremely buoyant. These large and wide boards are easy to balance so you can stop whenever you want and simply lay down and relax without having to worry about falling off. There are plenty of fish in the sea and you can have a great time trying to catch them off of a paddle board. 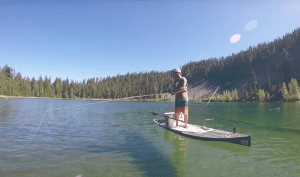 Fishing off of paddle boards is a fast growing trend. 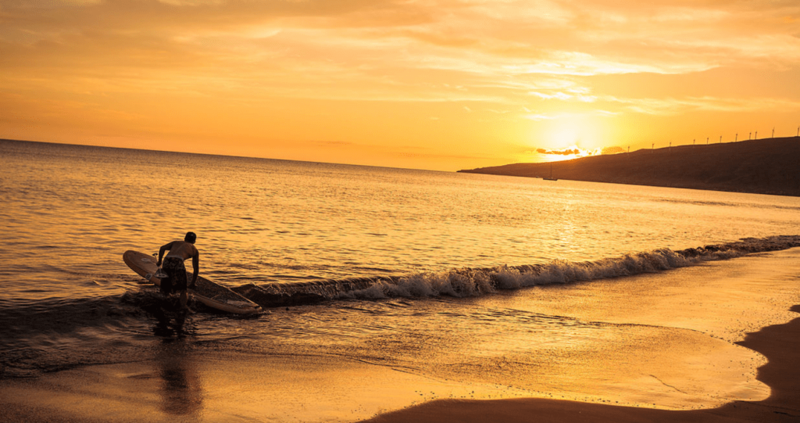 Paddle boards allow fishermen access to shallow spots normally inaccessible to boats, but also let riders go deeper into the ocean as the boards are a very stable platform. Paddle board fishing puts you as close to the water as you can get providing excellent vision in all directions without being blocked by the walls of a boat. Paddle boards for fishing should be wide, flat, and easy to balance. Depending on how far and fast you want to move, you could look for a longer or more narrow cruiser style board. Storage is an important consideration for fisherman as you’ll have tackle, coolers, and gear with you. Look for paddle boards that have rings, hooks, or straps for tying down gear. Many boards designed for fishing will have netting on the front and back of the board for securing lots of equipment. Yoga on paddle boards is also a very popular way to enjoy the water. While paddle board yoga is usually done on calm lakes or swimming pools, it is possible to do in the ocean. The perfect beach sunset or sunrise while doing yoga on the water is one of the best feelings that cannot be replicated indoors or on a lake. Paddle board yoga will require a bit more balance as shifting tides and rolling waves will test your balance to the extreme. When looking for a paddle board for yoga, you’ll definitely want the longest and widest board you can find. A super thick board will make for a very stable platform so you can focus on yoga instead of trying to stay dry. As paddle board yoga doesn’t need to be done far from shore, fins are really optional and only help you move to your desired location. Whether you’re into fishing, surf, racing, or some other activity, trying it on a paddle board could lead you to all new kinds of adventure. Be sure to also read our 2017 paddle board reviews as well if you are looking for a quality board.